A township plus tourist resort specialising in watersports, El Gouna (Arabic: the lagoon), is located on the Red Sea near Hurghada. A perfect picture! Love the palms swaying!! Looks like a MUST place to visit! This is gorgeous! Looks like a postcard. Looks like a windy day with those palms blowing! Thank you all for the comments! 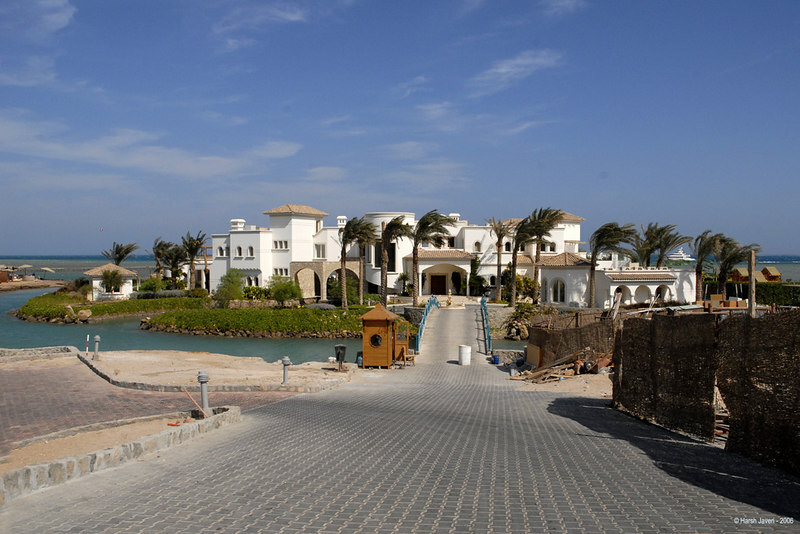 Unfortunately we did not stay at El-Gouna, it was just an excursion from Hurgadha. It's a quaint place with a lot of sea front, water ways, quaint streets & shops and nice places to stay. your travels are great.. thanks for taking us along.. I would love to stay here.. well in my dreams..